New Orleans, in general, and Tulane specifically were both natural choices for the first school of hygiene and tropical medicine. For starters, in 1912 New Orleans was a major international port and was no stranger to tropical diseases like yellow fever, cholera, and malaria. Stanford Chaillé, dean of the School of Medicine, was a vocal proponent for a variety of public health measures and efforts, and was a member of the first Havana Yellow Fever Commission. Moreover, Tulane began offering courses in hygiene as early as 1881. New Orleans and Tulane were well placed geographically and had a demonstrated interest in public health issues. With the arrival of Creighton Wellman, the possibility became a reality. 1834 Seven physicians, none older than 26, found a medical college in New Orleans to provide training in the pressing health issues affecting the region, including malaria, yellow fever, small pox, and cholera. It was an early start in the education of tropical medicine. 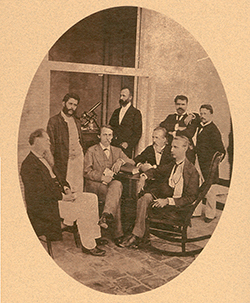 1879 Stanford Chaillé is chosen as one of four members of the Havana Yellow Fever Commission, established by Congress. During the commission’s travels in Cuba, they work with scientist Carlos Finlay, who would later put forth the theory that malaria is transmitted by way of the mosquito. It would be nearly 20 years, however, before Finlay’s theory gains widespread acceptance. 1881 First formal course in hygiene taught in the university’s medical department. 1884 The University of Louisiana becomes a private entity—Tulane University of Louisiana—thanks to a bequest by Paul Tulane. 1900 the public health community finally demonstrates public support for Carlos Finlay’s evidence that the mosquito is the vector for the parasite spreading yellow fever. 1904 Charles C. Bass joins the faculty. 1907 Isaac Brewer, a medical doctor with the U.S. Army and later sanitary supervisor for the New York Department of Health, publishes an article in the New Orleans Medical and Surgical Journal declaring New Orleans the best location for an American school of tropical medicine. 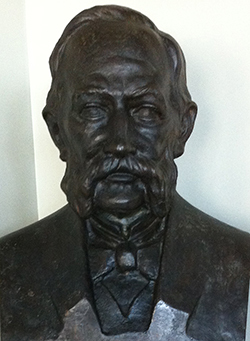 1908 Chaillé, who served as chair of the physiology department as well as dean, retires. Isadore Dyer becomes dean and a separate chair of hygiene is established. May 1911 The American Society of Tropical Medicine (established 1907) announces support for Tulane to establish a school of tropical medicine. July 1911 New Orleans businessman Samuel Zemurray donates $25,000 towards the establishment of a school of hygiene and tropical medicine at Tulane. 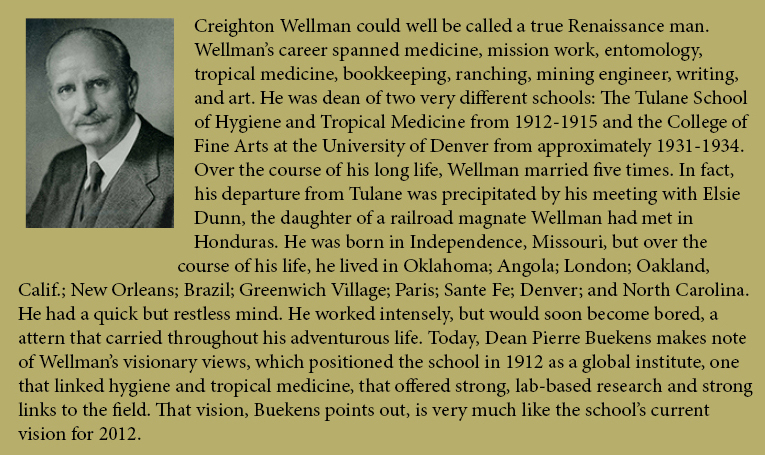 Sept. 1911 Creighton Wellman arrives and is named chair of tropical medicine and hygiene, including preventive medicine. Wellman makes an early appeal to transition to a school as soon as possible. 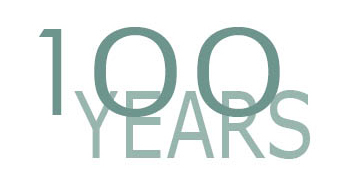 Continue reading SPHTM Turns 100! The First 50 years. This entry was posted in Fall/Winter 2012 and tagged Carlos FInlay, Creighton Wellman, global health, havana yellow fever commission, school of tropical medicine, Stanford Chaille, tropical medicine, tulane is global health, tulane school of public health and tropical medicine, yellow fever. Bookmark the permalink.